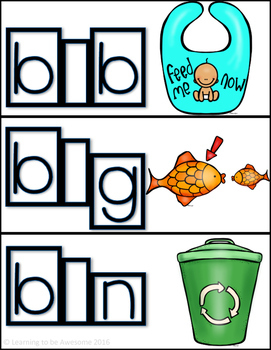 Give your students extra practice learning, reading, and writing CVC words using this fun and engaging literacy center. 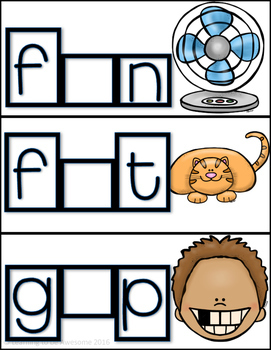 Students need to read the picture given, then decide which vowel is missing. They can then use a dry erase marker, or a magnetic letter, to fill in the blank space. 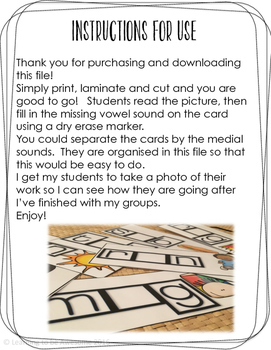 Included in this download are 99 practice puzzles for your students to work on. 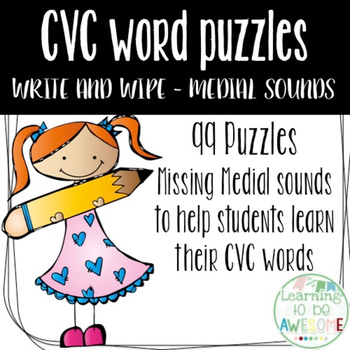 Blank CVC word write and wipe.